This delightful bulb produces both attractive foliage as well as striking flowers. 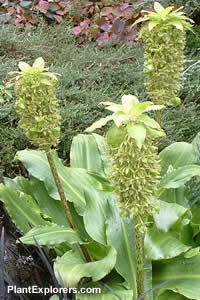 Long lasting flowers develop into attractive seed heads and persist until the first frosts. 12-24 inches high. For maximum freshness, please keep seed refrigerated in its original packaging until it is time to plant. Sow seed at 16 degrees Celsius in autumn or spring in containers and keep in a coldframe or similar sheltered area. Grow on in full sun to dappled shade in any good garden soil with adequate drainage.